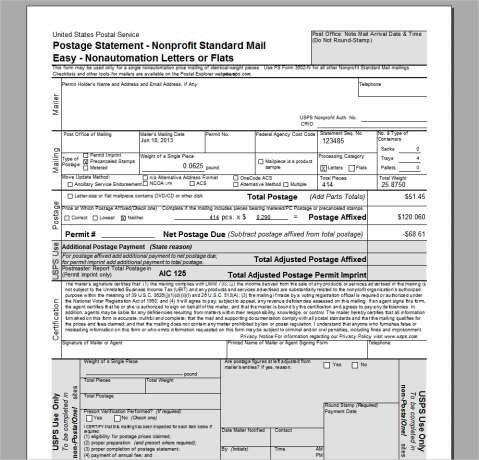 Mailing is a click-once application that runs off Shelby Mailroom where you can process bulk email presorts for mass mailings, process printed contribution statements or process email contribution statements. 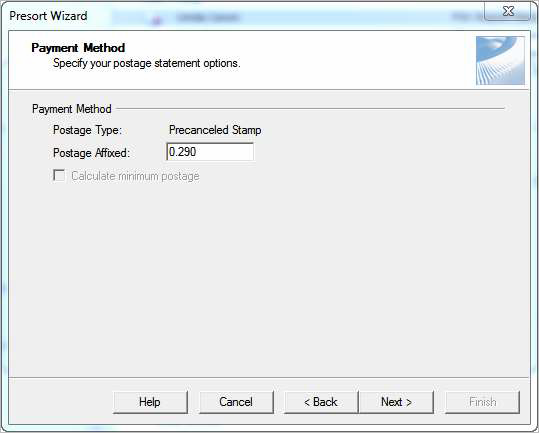 Shelby Mailroom is a standalone Shelby product and a subscription is required for bulk mailings, but not for emailing contribution statements. If using Mailroom, install the Mailroom Service on the Arena server. Technically, Mailroom can be installed on the Arena server or a completely different server as long as the Mailroom Service is installed and the Mail Room Server Organization Setting points to the server where Mailroom is installed. 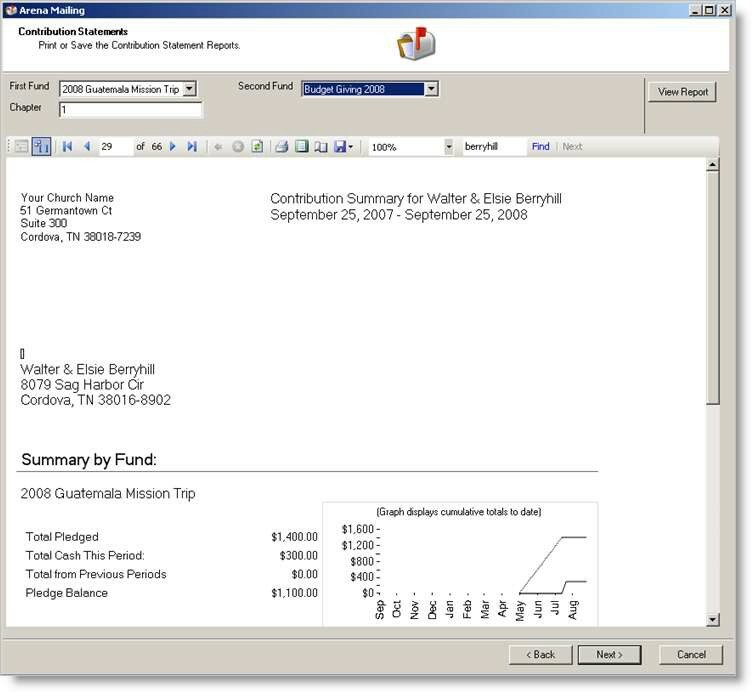 If emailing contribution statements mark Email Statement and enter PIN number on the Person Detail page of each recipient. Shelby Mailroom is not required for this feature. 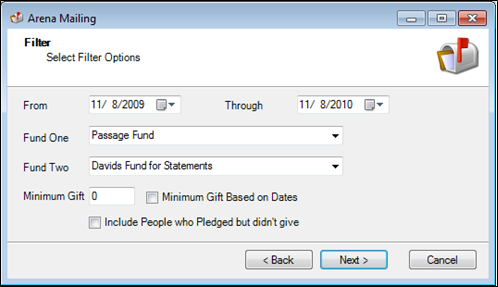 Alternately, users can use the Email Statements in Contributions. If using Mailing for bulk mail, this requires a subscription to Shelby Mailroom. 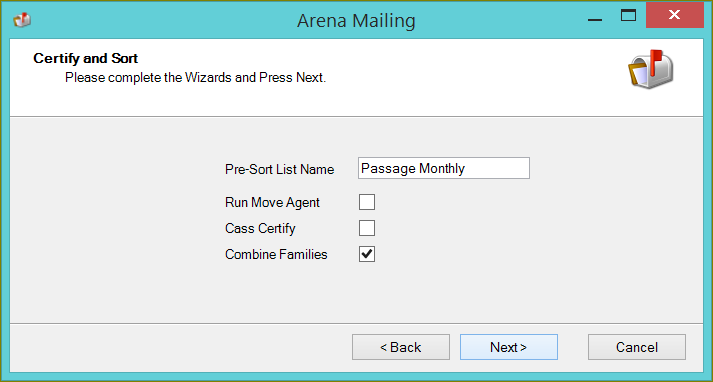 On the mailroom DVD you need to install Mailroom on the server (if using Arena Hosted, install on individual workstations) and the Arena Agent on the DVD. If you would like information about Mailroom, please contact Shelby Systems at (800) 877-0222. If launching Mailing from a network workstation, the below window displays. If launching Mailing from a non-network workstation, the below window displays. 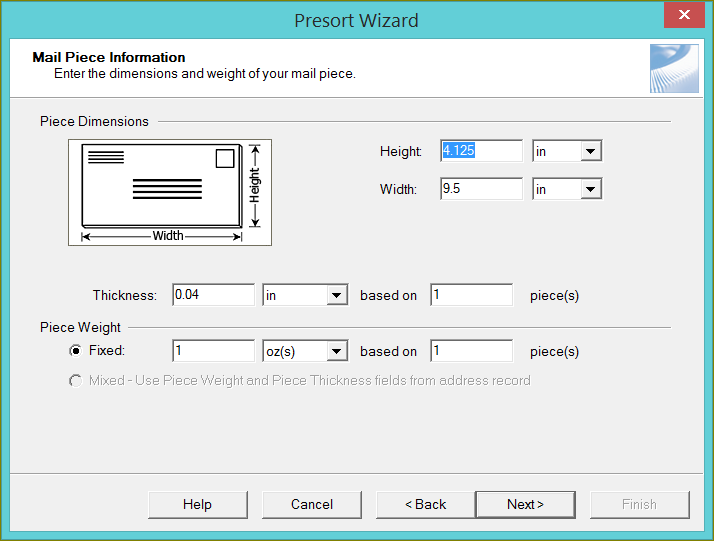 You can install Mailroom on each applicable workstation. 1. 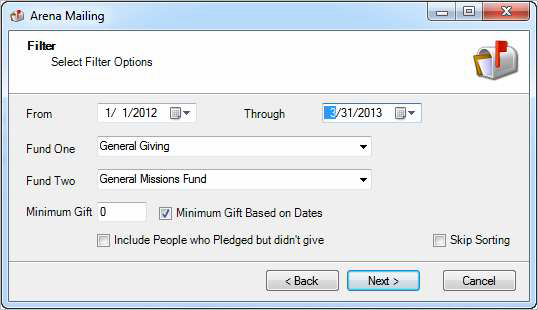 From the Membership menu, click the Mailing option to open the click-once application. 3. From this window, verify the Organization and Customer ID are correct. 4. Click the OK button. You need to restart the application. 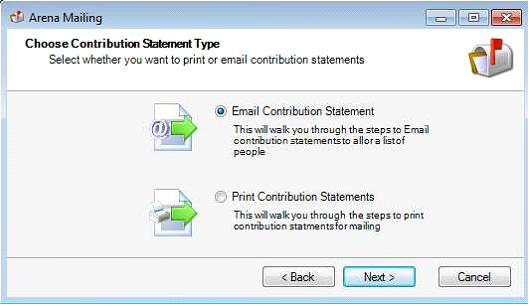 All print contribution statement recipients must be an active record and have Print Statement selected on the person’s record. 1. From the Membership menu, click the Mailing option. 2. 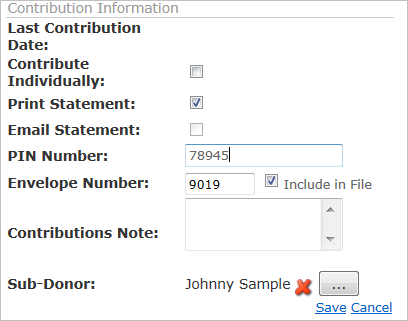 Select the Contribution Statements radio button. 4. 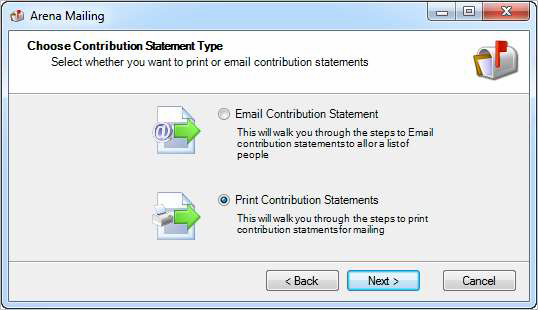 Select the Print Contribution Statements radio button. 7. 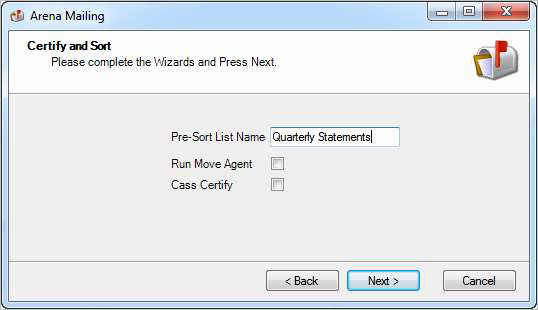 Select Certify and Sort options. When running the Move Agent, the current address is moved to the Previous Address type for all family members. 9. Select Sort Class and Piece Type. 11. Select Mail Piece Information. 13. Select Mailing and Permit Information. 15. Select Sorting option. Available sort options are Carrier Route (simplified addressing), Carrier Route (WS), Carrier Route (LOT), Automation and Non-automation. A Mailer ID is required for Intelligent Mail barcodes. 17. If you select Pieces are barcoded and the permit does not include a Mailer ID, the below window displays. 18. Select Mail Sort Discounts. 20. Enter the affixed postage value. 21. Click the Next button. 22. Select Tray Label Layout options. All e-statement recipients must have an active record status, an email address, the email statement selected on the person detail page and a PIN number. If one spouse is marked Contribute Individually, then you must also mark the other spouse. In the case of a husband and wife contributing, the statement is sent to the head of household, which is the male. 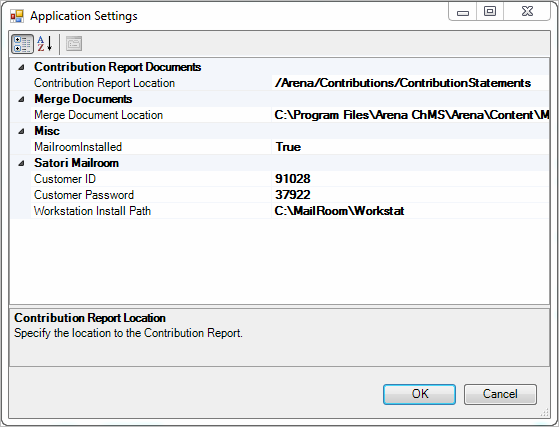 •Verify Email Contribution Statement agent is running. 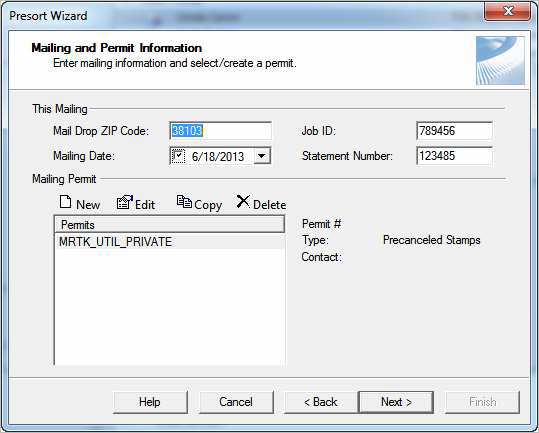 •Verify all Mailing Application settings. •Verify all recipients have a valid email address. •Verify Email Statement and PIN Number fields are complete for each recipient on their person detail page. 1. Open the Mailing application. 2. 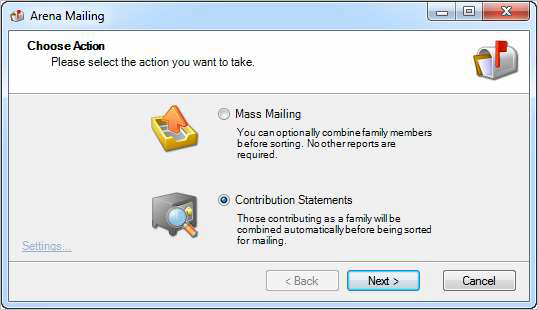 Select the Email Contribution Statement radio button. 5. 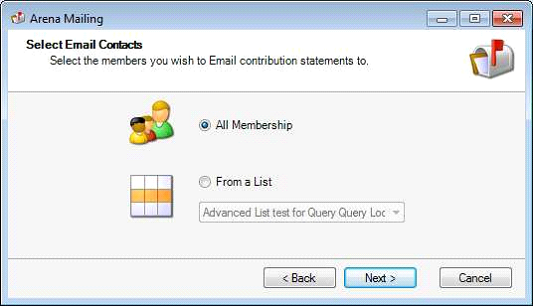 Select the All Membership radio button to select all records that meet the email statement requirements or select From a List to use an existing list. 9. Click the Finish button. Arena emails statements, using the agent schedule. •Select the report you want to use in the module setting for the Email Statement module. 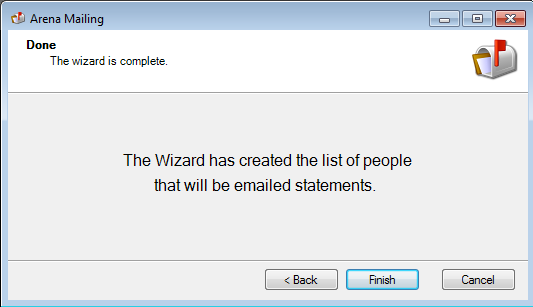 •Select the List to use to select the records for running statements. •Fill out the remaining criteria. •Click the Send Emails button. You can run a mailing list using either the entire database or an existing list. You must have a minimum of 200 addresses in order to create a bulk mailing and CASS certify. 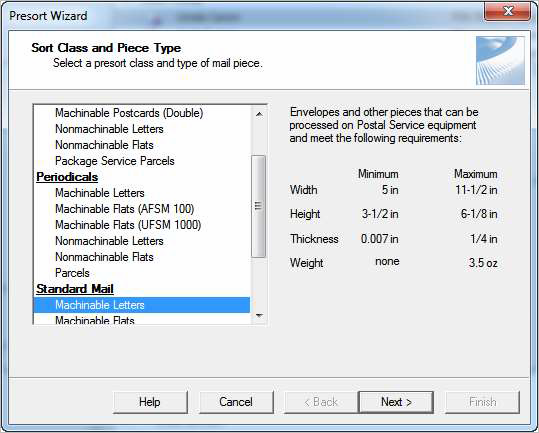 Before running a mass mailing, it is recommended to verify Mailroom is up-to-date. 2. Select the Mass Mailing radio button. 3. 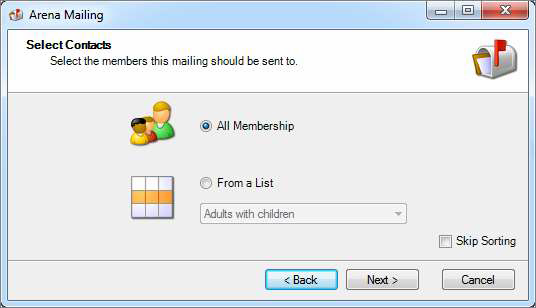 Select the records to include in this mailing, either All Membership or From a List. 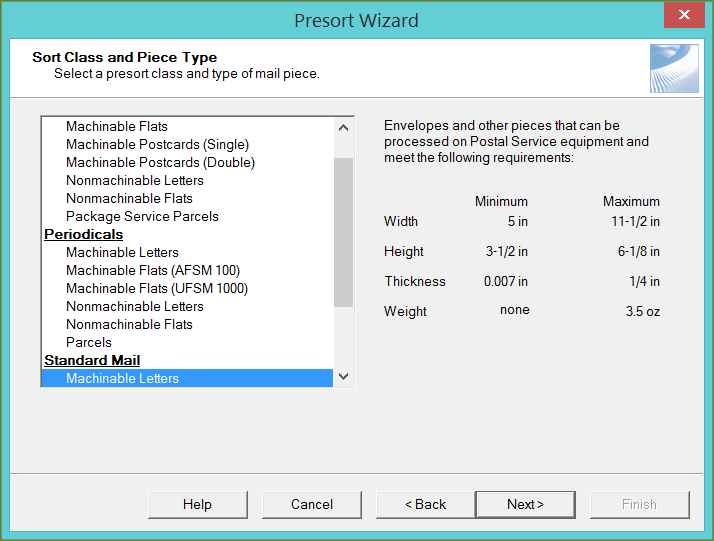 The Mailing application displays Person and Parent Lists only, in alphabetical order, when choosing the recipients from a mailing list. The option to Skip Sorting allows you to skip the bulk mail presort process. 5. 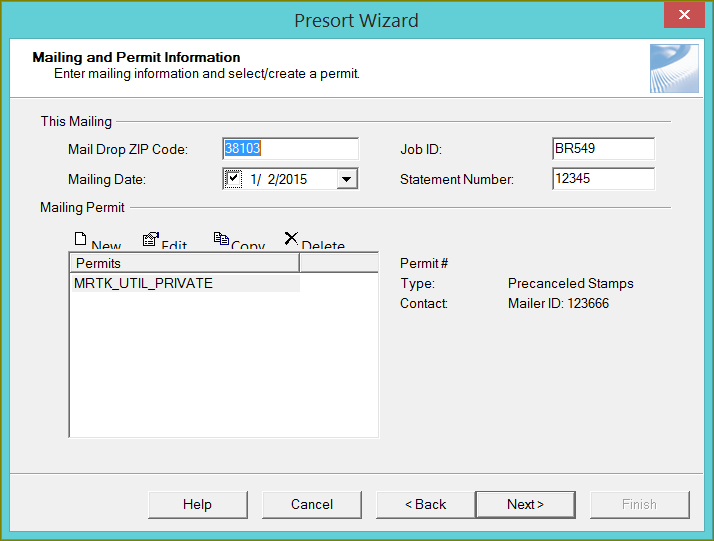 Enter a Pre-Sort List Name and select additional options. 6. Run Move Agent – This updates all records based on the most recent Shelby Mailroom DVD update. At least 100 records are required. When you select Run Move Agent, Arena automatically selects Cass Certify. •CASS Certify – This certifies all selected addresses based upon the most recent Shelby Mailroom update. There is no minimum or maximum number to CASS Certify. 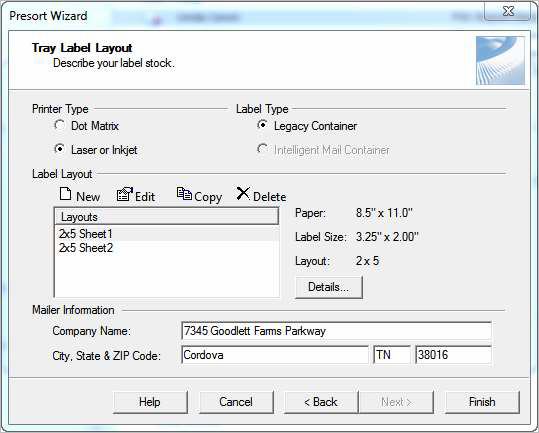 If you elect the CASS Certify option, the Address Correction window displays while running the correction process. 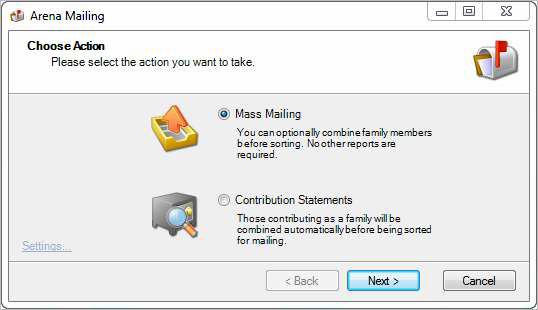 •Combine Families – This option combines the mailer for all individuals living at the same address. 7. 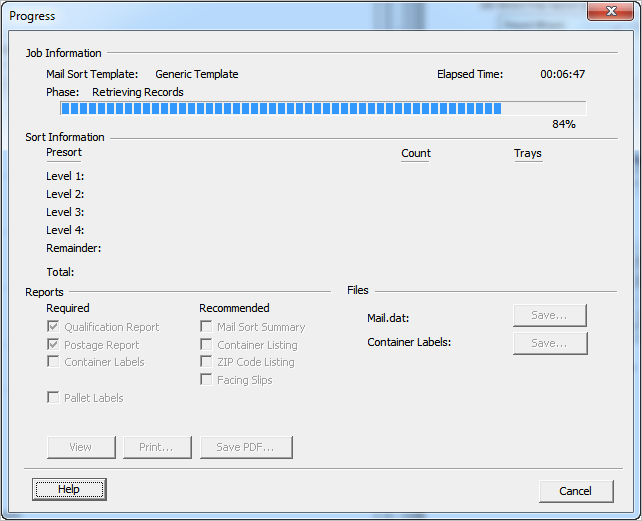 Select or create a sort template, if applicable for this mailing. 8. Select Sort Class and Piece Type. 10. 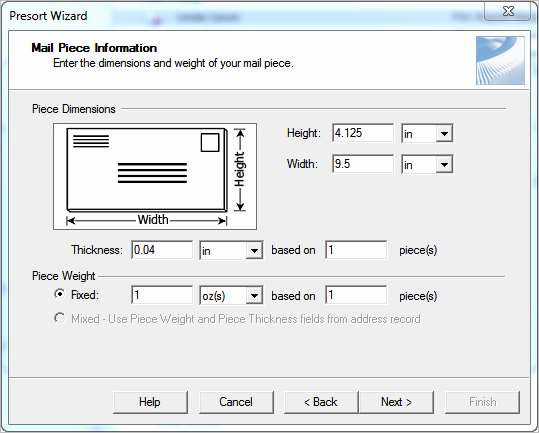 Select Mail Piece Information. 12. Select Mailing and Permit Information. 14. Select Sorting option. 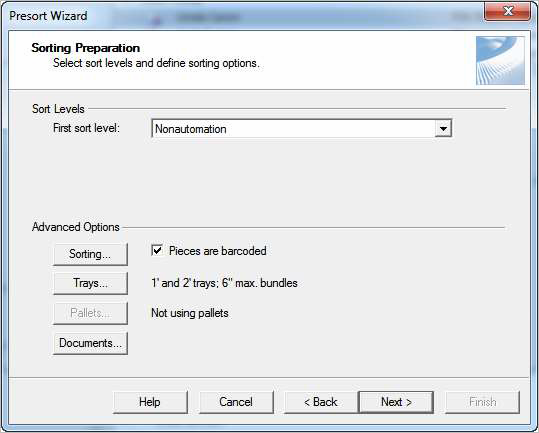 Available sort options are Carrier Route (simplified addressing), Carrier Route (WS), Carrier Route (LOT), Automation and Non-automation. A Mailer ID is required for Intelligent Mail barcodes. 15. Click the Next button. 16. If you select Pieces are barcoded and the permit does not include a Mailer ID, the below window displays. 17. 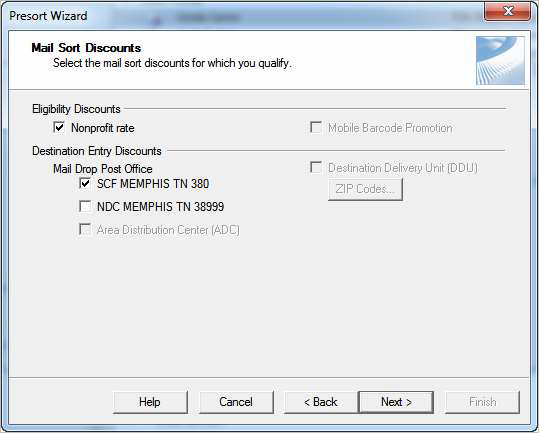 Select Mail Sort Discounts. 19. Enter the affixed postage value. 20. Click the Next button. 21. Enter Tray Label Layout information. 22. The Progress window displays. 23. You can then view, print and/or save the report. 24. If you select the CASS Certify option, you also have the option to print the summary report. 25. Click the Close button to exit the Mailing application.